If you’re a parent and you don’t have a thermometer on hand for your kids in your families medical drawer, you’re doings something seriously wrong. Regardless of whether you have kids or not, every family should have one, as they are essential for knowing when someone has a bad temperature, and they can give you an early warning when something is seriously wrong. If you or your kids are seriously ill, anything that is going to get them to the doctors or hospital quicker is invaluable. There are many different thermometers for kids on the market, and its hard to know whether an oral thermometer or ear thermometer is best for your kids. That’s why we’ve put together this handy guide to share with you the best kids thermometers that are available right now. 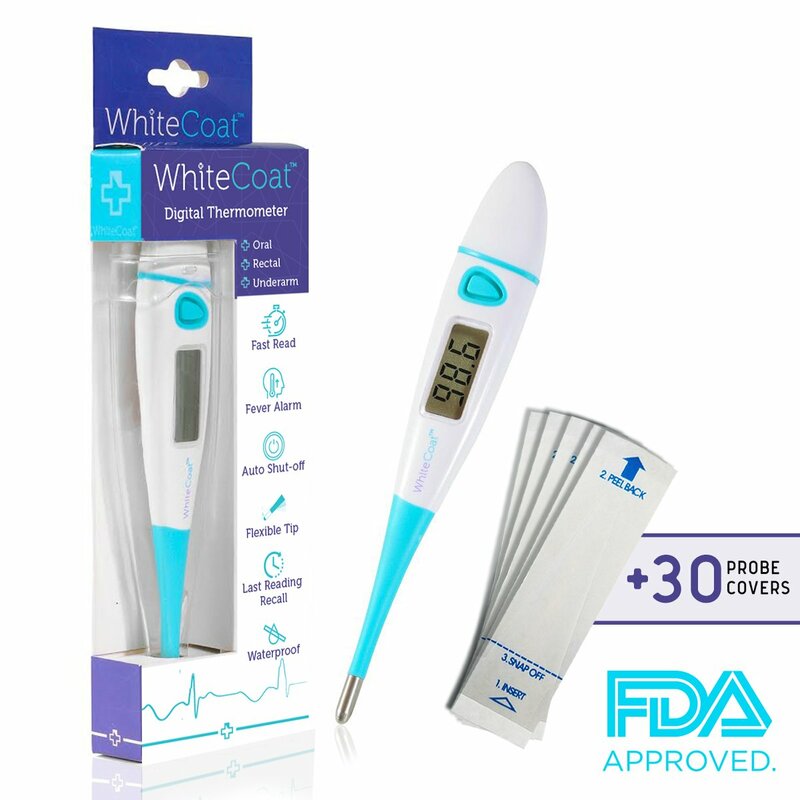 Digital thermometer – You get the quickest and most accurate temperature readings with these. They come in all shapes and sizes, and use advanced digital senors to take the temperature. They can be designed to be uses orally, rectally, on the arm. Never use the same thermometer for oral and rectal readings, for obvious reasons. Electronic Thermometers – Electronic thermometers are also quite quick and accurate, although they might not be as reliable as digital ones. 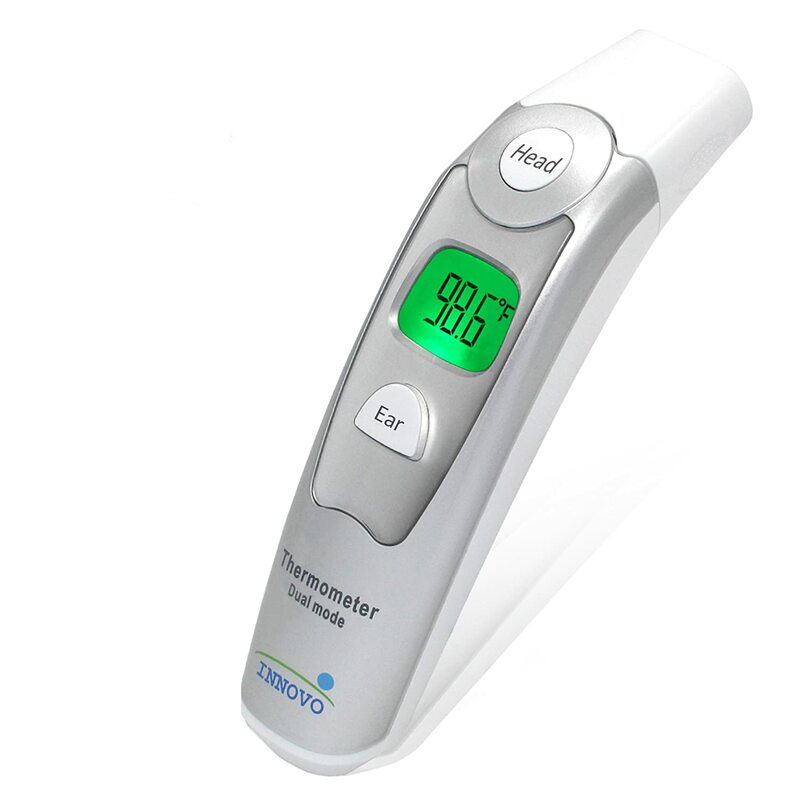 Many ear thermometers and Forehead thermometers are electronic, and they operate by taking infrared readings of the child’s body temperature. Fever Strips – Disposable strips that tell your child temperature after being set on the forehead or armpit have become quite popular in recent years as they are cheap and easy to use. Within seconds of applying them, they usually give a reading. and many parents like them as they are easy to use and don’t distress the child. however, we don’t recommend them as they only tell the temperature on the surface of the childs’s skin, not their overall body temperature. Glass and Mercury thermometers – Most parents will probably remember these from the days when they were kids themselves, having one of these glass tubes stuck underneath their tongues while they were trying desperately to convince their parents to let them take the day off school. They are not used these days as they do risk exposure to mercury. We don’t recommend using one, and if you have a old one lying around, we suggest you contact your local authorities to find out the safest way to dispose of it. 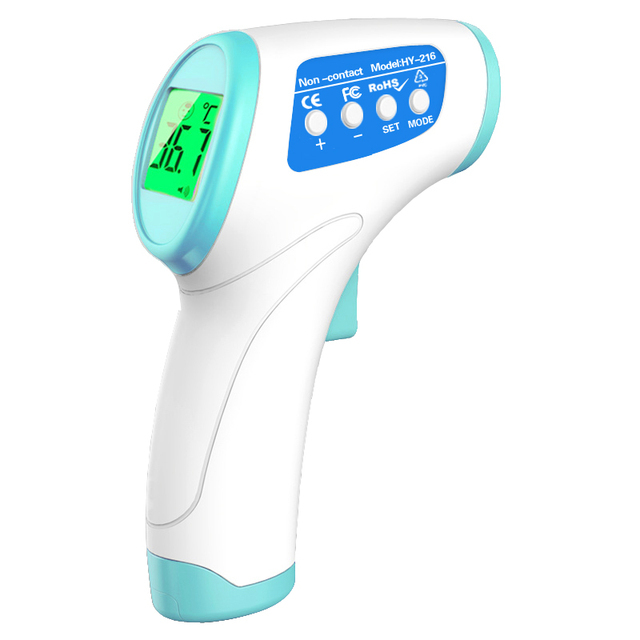 Designed especially for babies, this thermometer is specially equipped with the most advanced infrared sensor technology to get highly precise readings with accuracy within ±0.2℃ (±0.4℉). It is also very quick, needing just one second to take a reading, and you can easily switch between ear and forehead modes. 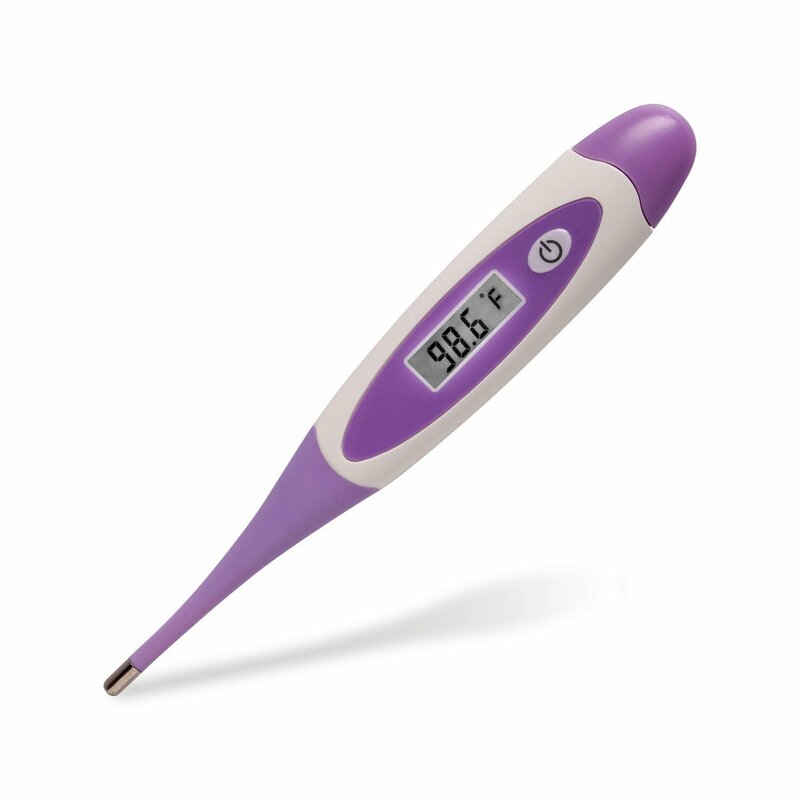 This baby thermometer also has a fever warming on any temperature that exceeds 38℃/100.4℉. It is also made from strong medical ABS materials, making it durable and lasting. We all remember that nasty feeling of having the thermometer stuck in our mouths as kids, but thankfully this oral thermometer makes it more bearable as its soft flexible thermometer tip has been designed to be as comfortable as possible to babies. It is accurate to within 0.2F, and only takes around 30 seconds to give you a reading. This thermometer also works under the arm and rectally, but don’t use it orally as well if you do so. Best of all, its handy waterproof design allows for easy cleaning and sanitation, so you can make sure that germs and illness don’t spread between your children. 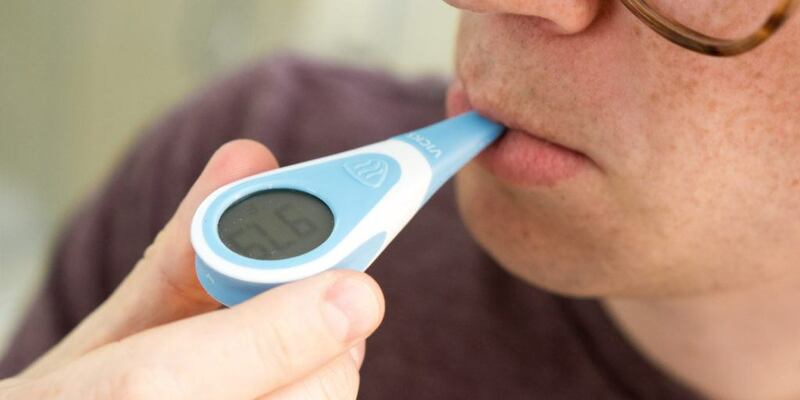 This FDA-approved kids thermometer is a Godsend to moms and dads everywhere. When your child’s temperature seems off, just pop this in their mouth for 10 seconds and it will give you a clear and accurate reading. Therefore, you can be in comfort knowing that it takes less than half a minute for you to know if something’s wrong and you need to call the doctor. This also comes with a helpful bonus E-book on home remedies, with suggestions on everything from acne to runny noses. You can use this thermometer for children, adults and pets, but it might be a good idea to buy and extra one for your dog or cat rather than sharing the one the children use. 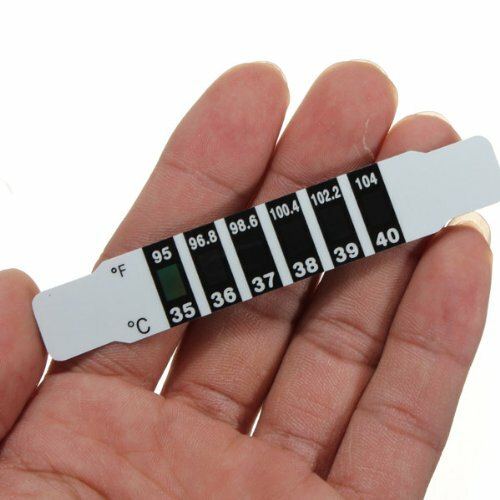 Whether its orally or under the arm, all it takes is 10-30 seconds for this digital thermometer for you to know if your child is above the normal temperature for children. It has a flexible tip to ensure that it is child friendly, and a fever alarm will sound if there temperature is worrying. We also really like that this one can recall its last reading, so you’ll know if your child’s temperature is rising or falling. Fast, easy and accurate, this digital thermometer takes only 10 seconds to take your child’s temperature with an accuracy index of within 1/10 of a degree. It has a convenient, soft tip that your kids can easily bite down on without too much discomfort, and one of three faces on the machine will light up to tell you if the temperature is normal, elevated or feverish. Cleanliness is always a concern, too, so you’ll be happy to know that this is waterproof, allowing for easy cleaning and sterilization. This also comes with the option to buy singly, or in packs of 4 or 8, making it a great choice if you need to buy a bulk load of thermometers. 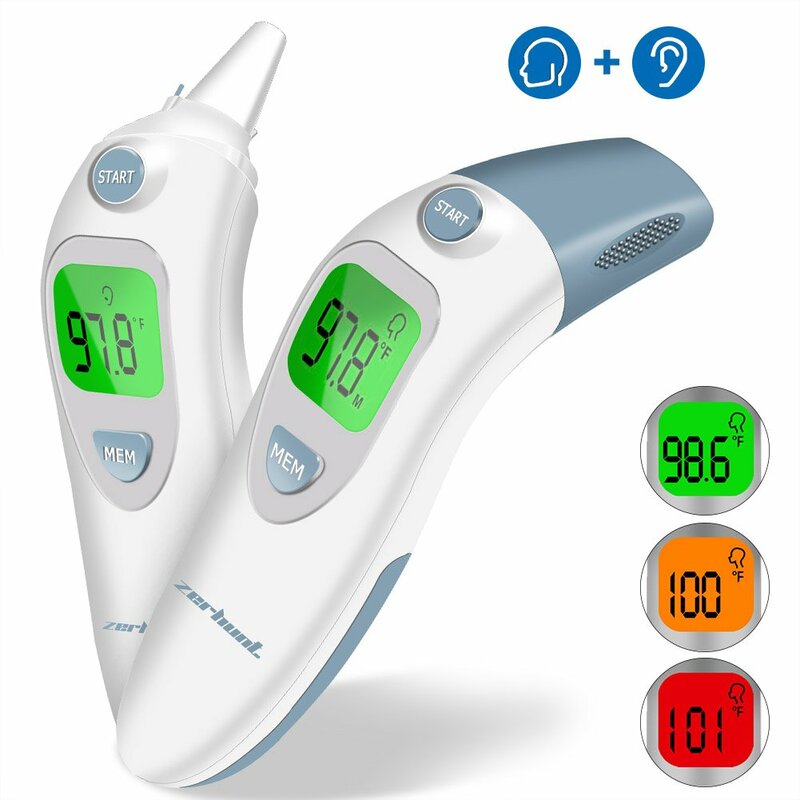 This FDA and CE approved thermometer might be the fastest oral one we’ve come across; temperature readings in only 8 seconds. 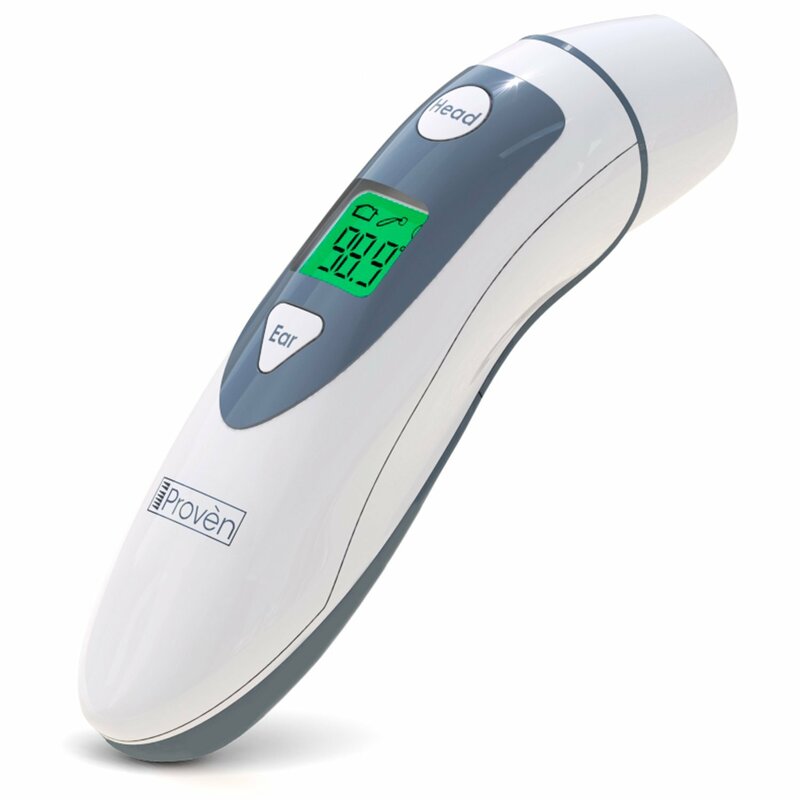 Like many other models, this has the standard features of a fever alarm and the ability to store the last reading. 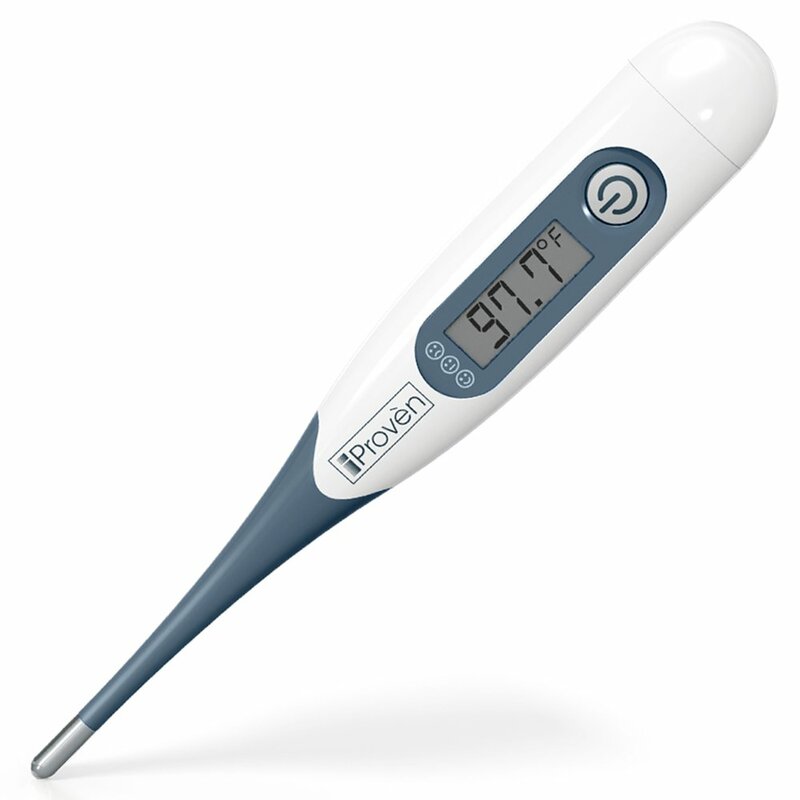 This thermometer is advertised for both household and clinical use, and it is safe for children and adults. Again, although this works with oral, armpit and rectal readings, we want to repeat our recommendation that you don’t use the same thermometer for oral and rectal readings. 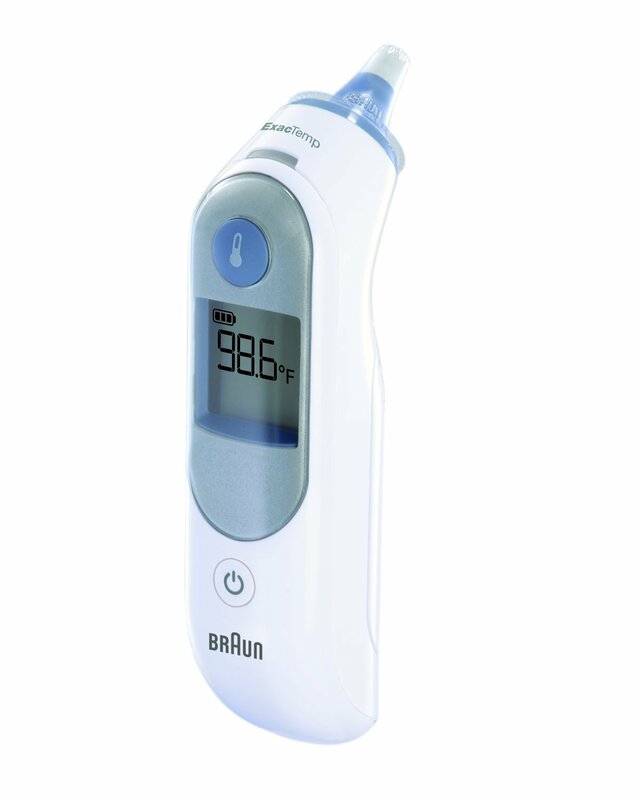 Used by pediatricians and doctors the world over, the Bruan Ear Thermometer is gentle, safe and easy to use on kids and the entire family. It has a special pre-warmed tip to ensure accurate readings, and its ExacTemp positioning system lets you know when the thermometer is in the right spot with a little light and beep to let you know. Best of all, this has functions for storing different readings over time, so you can easily keep track of your child’s or baby temperature. Overall, this is one of the bets in ear thermometers you can find. 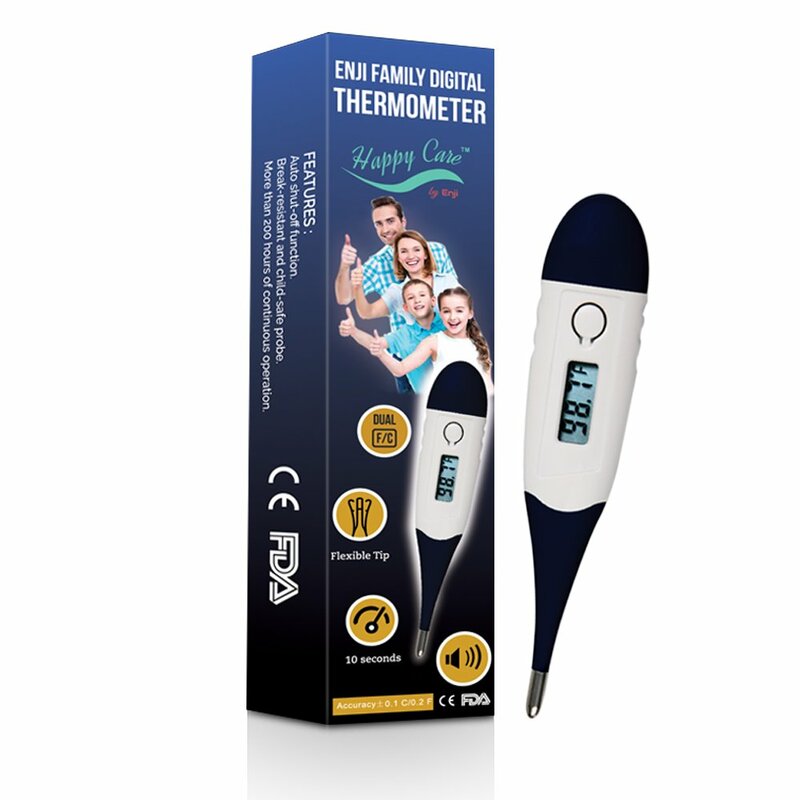 This thermometer really is a parents best friend, as it can recall up to 20 previous readings to help you monitor your child’s temperature over time, an it also has visual and audio alarms that alert you straight away to a dangerously high or low reading. If you are looking for something to take your family from kids to adults hood, this infrared thermometer will do just that. 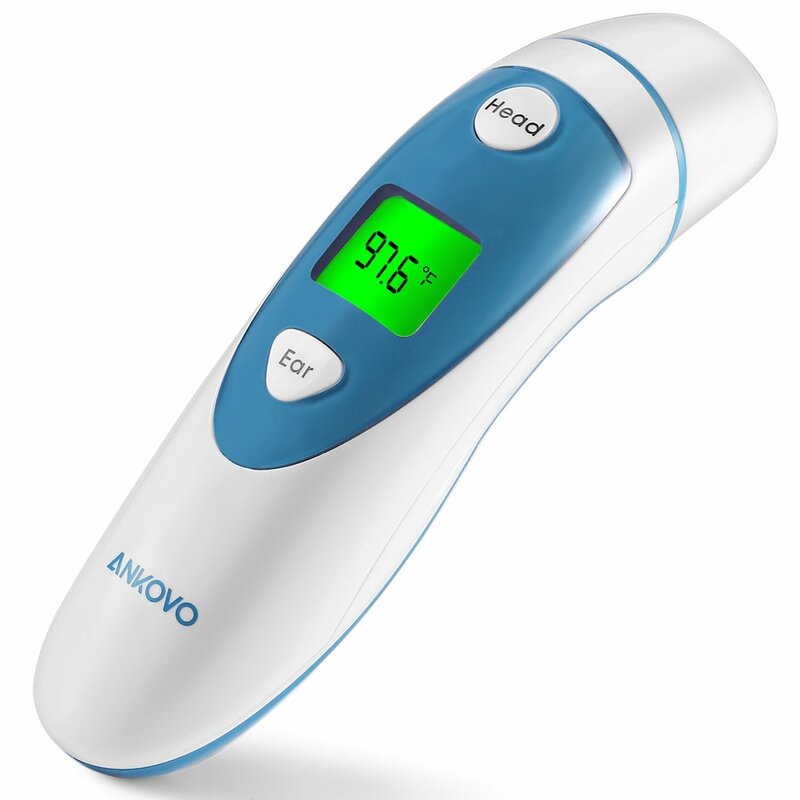 With forehead readings safe for everyone and in ear temperature functions for children over 3 months old, the Ankovo thermometer is something that every household should have. You can switch between ear and forehead mode at the touch of a button, and both will give you very accurate readings. 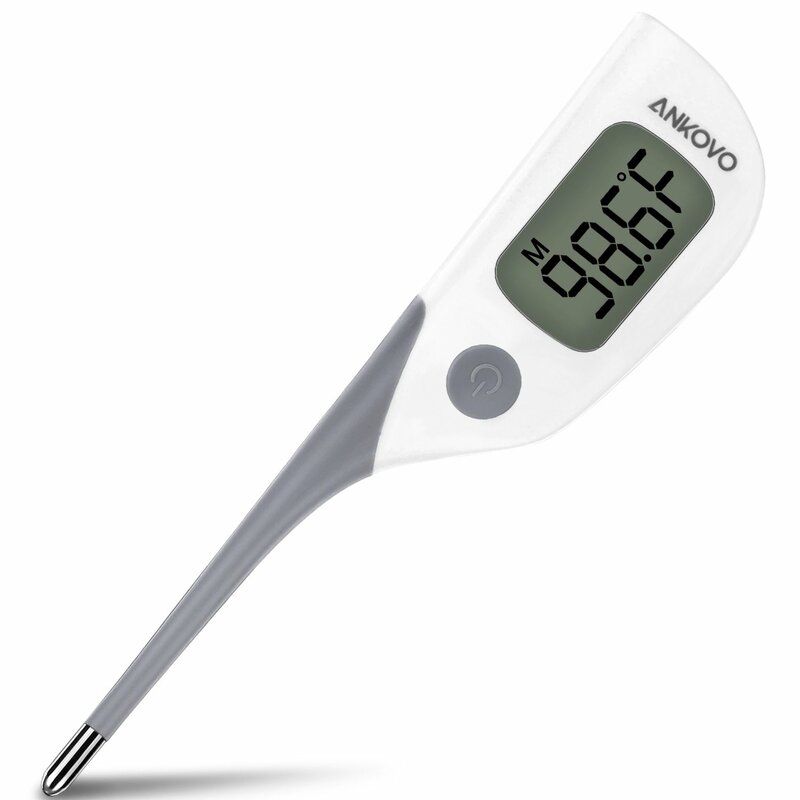 When the reading exceeds 37.5℃/99.5℉, this thermometer will warn you by flashing and beeping, where is if the temperature is normal, there will be a long low ring and no flashing, so you’ll never be in any doubt if you need to call the doctor. Consistent and reliable, this ear thermometer is one of the best we’ve come across in terms of accuracy and safety, as it has been uniquely calibrated for medical use. It is very easy to use, can store up to 20 readings, and it has a safety alarm that alerts you to dangerous temperatures. There simply is no easier or quicker way to take your child’s temperature. What should a child’s temperature be? 36.4C (97.5F) is generally considered the normal temperature for kids and babies, but this can vary slightly. As a general rule, a fever is usually considered to be a temperature of 38C (100.4F) or above. For babies under 3 months of age, a temperature of 100.4°F (38°C) or higher can be very dangerous.